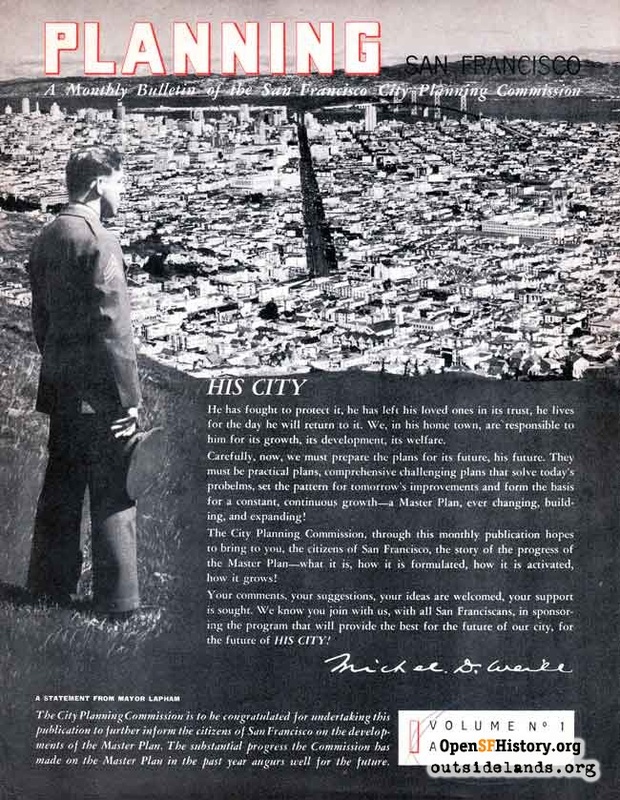 World War II through the eyes of a kid in western San Francisco. I belong to America's true Lost Generation, the one wedged between World War II's "greatest" and the boomers. I missed the highlights of my life. I was too young for the war and too old for the sexual revolution. The war ended when I was eight years old, an age and time—1945—when childhood was an apprenticeship for the adult world. There was no television or Internet so children needed to master reading, which could unlock all the secrets of the world if we had the patience to learn. In the meantime, I watched and waited for my turn. 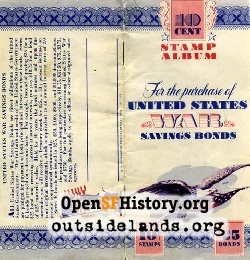 My earliest memory of the war was a military exhibit in Golden Gate Park that included a pontoon bridge, tents, a few rifles and cooking gear. I think the display was designed to show that America was ready. The soldiers wore the dishpan helmets of World War I so it must have been early in the conflict. Later, when I became an insatiable reader, I would learn that we weren't all that well prepared. I would imagine that the park event took place about the time soldiers were beheaded and bayoneted on the Bataan Death March. Every young man seemed to be in uniform. One cousin wore Navy blue and served on the carrier Enterprise, another was a crew member on a DC-3 "flying ambulance," and a third failed to return from the Philippines where he was with the engineers. I wore a uniform of sorts: I played a beet in my kindergarten's Victory Garden Parade, which would have been in 1942. Later my mother dressed me in what looked like a real aviator's uniform, complete with pilot's wings. I have a picture of me wearing it to a bond drive. She called me "Jimmy Doolittle," after the famed flyer who led the 30 seconds over Tokyo raid in April of 1942, which didn't do much damage but certainly made us realize that we could hit back. 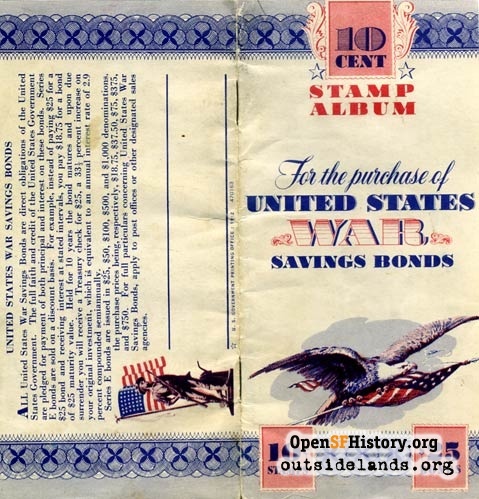 Even us kids bought bonds and stamps. A picture of a soldier without equipment stood guard on my classroom wall at St. Monica's. We saved up our money and bought a helmet, grenade and canteen for him. I don't remember if we could afford a gun. I also recall our family buying a bond and getting a photo of Colin Kelly, the B-17 pilot who remained at the controls of his doomed and burning bomber so his crew could escape. Later we were rewarded with a drawing of the cruiser San Francisco under attack in the battle for Guadalcanal. The command bridge of the ship, complete with shell holes, stands at Land's End in San Francisco as a monument to the scores of sailors killed aboard the vessel. Sacrifice was everywhere. My mother worked at a blood bank and my father, who was too young for WWI and too old for WWII, was ready to drive a truck for civil defense if needed. Everything seemed to be rationed. We needed rationing stamps to buy food and cars had a sticker on the windshield to show how much gasoline the driver was entitled to. We collected items that could be reworked, so we were told, into needed material for weapons. These included cooking fat and tin foil from cigarette packs. Small flags with a star in the center were placed in windows of homes. A gold star meant the ultimate sacrifice had been made. The Cliffords didn't need symbols to remind them of the cost of war. In 1945, my uncle John, a frequent visitor from the veterans hospital at nearby Fort Miley, died from wounds suffered in World War I. The best thing about the war was the end, when, as the song says, "the lights came on again all over the world." 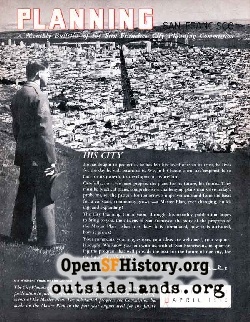 There were alcohol-fueled riots in downtown San Francisco, although I didn't know it at the time. My celebration consisted of honking the horn on our '37 Buick Special, which should have been awarded a Purple Heart for what it went through when the Enterprise docked in San Francisco. My cousin and his shipmates, having made up for all those booze-free years at sea, paid a visit to our Richmond District home. In their case, the cliché about sailors being "three sheets to the wind" was apt. I sat at their feet as they told my father and me about their service aboard a ship that Warships of the World records as seeing "more action than any other vessel in the history of the United States Navy." According to that publication by the Cornell Maritime Press, the ship accumulated 18 of 22 battle stars. Mostly I remember the men laughing. I guess it's true that people who have been in combat want to forget the horrible parts. I do remember one story about an officer who pointed a pistol at a gun crew and warned he would shoot any sailor who left his post. Just then, a kamikaze dived through puffs of anti-aircraft fire toward the ship, sending the officer scurrying for safety. Unfortunately, he forgot he had headphones on. The line linked to the ship's phone system quickly jerked him backward. I doubt this was the night of May 14, 1945, when a bomb-laden kamikaze crashed onto the forward part of the Enterprise's flight deck, killing 14 and wounding 34. There would have been no humor in that. About the car: one of the sailors got sick as dad drove the three navy men to the Enterprise. He forgot to open the window and heaved on the door, leaving a permanent stain. My mother wanted the upholstery on the door changed, but my father decided to leave it as a reminder of the war. "It's sort of like those enemy flags painted on the sides of airplanes to let you know how many kills you have," he said. The war was over and the Johnnies of America came marching home. By then we had moved to the Sunset District. The man next door was in the artillery in Alaska, but not in time for the big fights at Attu and Dutch Harbor. He did, however, fire a gun in anger—at a bear he insisted was a Kodiak that came into his outfit's camp and went after some GIs. I stood rigid as he described the bear coming ever closer, step by pounding step, until he stopped, felled by bullets from at least two clips. "We were bad shots," my neighbor said. "I guess that's why we weren't in the infantry." The man three doors down was a navigator on a B-17. A man across the street was an officer in the merchant marine and sailed through waters where submarines searched for prey. I remember how glad he was to be home. One of the first things he did when he returned to civilian life was to turn his son's bedroom into a replica of a ship captain's cabin. Another neighbor served on the USS Helena at Guadalcanal, the same battle in which the five Sullivan brothers were killed. I saw him without his shirt on one sunny day. The upper bicep of one arm was all scarred and it looked as if some bone was missing. My dad said it was from pieces of steel that cut into him like knives when his gun turret was hit. The war continued for us kids, thanks to souvenirs brought back by relatives and something new—war surplus. We had helmets, web belts, rifle stocks. My haul included the stock of an M1 carbine, a life jacket, web belts, and a holster with "U.S." on it. Everybody had plenty of military clothing. I watched in admiration as an older guy, all of 14 or so, went to school wearing a Flying Tigers' leather jacket. On the back were drawings of the American and Chinese flags. Below the flags was Chinese writing that said the wearer was an American pilot and asking that he be taken to safety. The prize collection belonged to my pal, Harry. An uncle in the marines gave him a Japanese helmet, rifle, pistol and holster. Our homes were in the midst of a checkerboard of sand dunes, giving us a playground where we could dig trenches and foxholes and act out movies that glorified America and its armed forces. And we all had seen plenty of them, including Wake Island, Bataan, and Battleground. Sahara was a natural. Although the war was over, the neighborhood would occasionally be shaken by the firing of guns at Fort Funston, about a half mile from our home. These were giant cannons, I think 14-inch guns, capable of sending shells the size of cars miles out to sea. The firing that took place around 1948 rattled windows and sent shaking dogs sliding under beds. For us kids, the coast artillery practice only added realism to our play, which went on as the guns went off. Two years later there would be another real war. This one in a place few of us heard of as I entered high school, a place called Korea. Just as in World War II, cousins would visit our home as they passed through San Francisco, bound for a country divided at the 38th Parallel, a lesson in geography the country would soon learn. There was little home front sacrifice during the Korean War, although a classmate's brother was awarded the Silver Star. I recall her telling us about the cold, hunger, and constant combat he faced. I joined the Navy after high school, a time when the draft was in force. I could have waited until after college, but I wanted to get my military obligation out of the way. The point I am trying to make here is that there were generations of men who had reached adulthood knowing they were going to serve in uniform. I recently saw a movie called No Country for Old Men. The main characters are a World War II veteran and at least three Vietnam vets. There's no Korean War survivor, which I thought was an appropriate comment about "the forgotten war." There is, briefly, a man who served in World War I. I never was in combat and I think only two of my high schools pals were—both in Vietnam—which I feel saw the eclipse of my generation's attitude toward military service. There is much made in hindsight of the news media's coverage of the Vietnam conflict. I think both sides in this debate fail to look at something I covered first hand—the home front. At the same time television brought the war to our living rooms it showed protests, many violent, on our campuses. I recall one at Berkeley in which students yelled "fascists" at the police before hurling rocks and bottles at men who may have freed Europe from real fascists. This was enough to make me realize that we were becoming no country for old men. Page launched 18 Aug 2009.